The RS Aero Rooster UK Youth Team plus the extra adult additions we had for this weekend managed to sail on the Saturday alone, due to the gals ravaging the UK. The focus was on starting and developing a pre-start routine and then implementing it. They did a mix of very long and short lines with exercises to develop line awareness and practice with transits. On Sunday we did in depth video analysis from the previous day. Then I took the sailors for a fitness session comprising shuttle runs. After lunch we covered downwind seating positions in the boat and rigged up an RS Aero in the hangar so we could do land drills. After that we split into smaller groups for a chat on starting routines. We finished with a talk from Chris Jones on self coaching and ways to improve in-between events. Strong winds were forecasted for the weekend and the strong winds came. Saturday started out fairly strong around 20 knots. I sailed with the small group of RS Aero 7 sailors as most of the group sailed RS Aero 5s. The weekend was focused on starting and we did a series of drills relating to starts. Towards the end of the day, we all got together and did practice races as well. The different coaches filmed us sailing which proved to be handy as the next day we were blown out with gusts of 50 knots during the morning! We reviewed what we did the previous day and analyse video to see what worked and what didn’t. We also went on a run and did sprints. 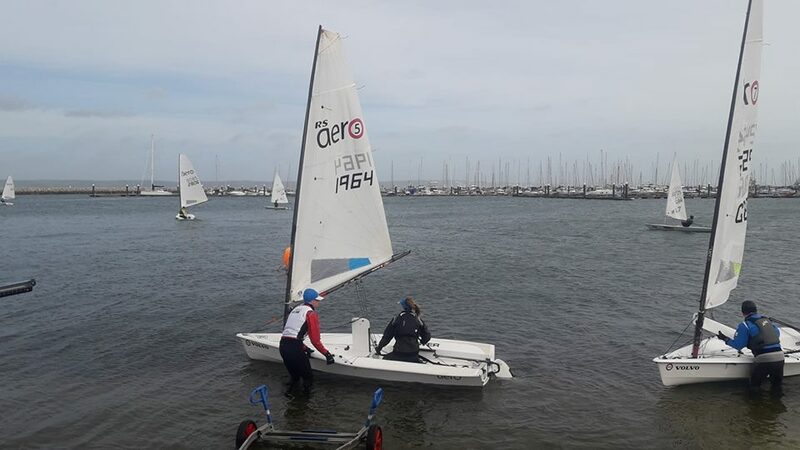 As this was my first time at an Aero Youth Training, it was very clear to see how all the other youth sailors that I compete against every year at the World Championships are getting better and better. 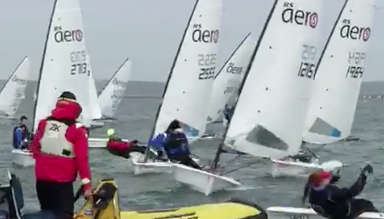 The sort of training they get would be akin to the training I did for high school sailing but focused on RS Aeros. I was able to learn a lot and I hope to participate in one in again the future.